Individuals and businesses have been sending faxes through fax machines for so long. However, using traditional faxes has had its fair of challenges in the way people sent documents. As such, sending receiving faxes via fax machines is not ideal especially at this point where technological advancements and fast Internet speeds have paved way for better ways of doing this. With recent developments, it is preferable to use Google fax send and receive your faxes. This mode of sending documents is easy, fast and convenient. Read on to learn more about faxing via email. To fax via email, you need to have and active Gmail account. For those that want one or a couple, the process of getting one is simple and straightforward. Besides, for those that prefer having several Gmail addresses, you can always suit yourself with the number you want at no additional cost. Besides having the email address, you need to have some an additional tool required to make it receive and send your faxes. Ideally, the essence of this is to establish a connection between your mailbox and the fax server. One of the items required is a virtual fax number. This number comes with the fax service account. Being a virtual number, you no longer need a fax line to use faxing services. Well, anyone that has successfully sent an email knows how to fax via email. However, one should be aware of some variations between sending and regular email and faxing. The major differences are clarified bellow. Unlike ordinary mailing service that requires an email address, faxing uses numbers. Thus, in the recipient’s field of the message, you will add the recipient’s fax number and an extension of your fax email service provider. For instance, someone sending a via Ring central fax service will have the address in the recipient box as 123456rcfax.com. After the recipients’ field is done, you will have to look for the document you want to send. Unlike emails that will require you to write in the message field, sending a fax requires you to attach the document you want to send. As such, you can send different document types provided. 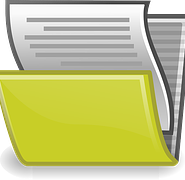 After attaching and sending, the document sent will be converted into a fax from the recipient’s end. All sent faxes are received like ordinary emails. As such, you can look at them on your handheld or laptop download them if you feel like or even download them from the fax.